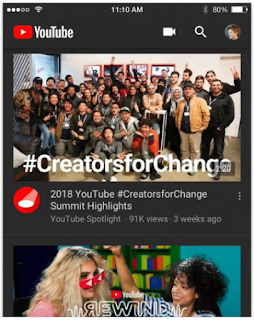 YouTube team took to Twitter to announce a new feature called Dark Theme. The feature is same as Night mood theme, and it's available for mobile but Apple's iOS platform gets it first. iOS users has already started seeing the update. According to the video attached to the tweet. You can activate this feature by tapping on your profile icon > Settings, then toggle the feature ON. And you'll see the app immediately switch to dark theme. When will this feature hit the Android version of Youtube? 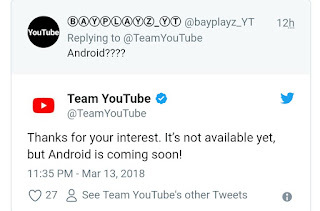 According to the response when asked, YouTube said that's going to happen soon, but didn't provide specific date. 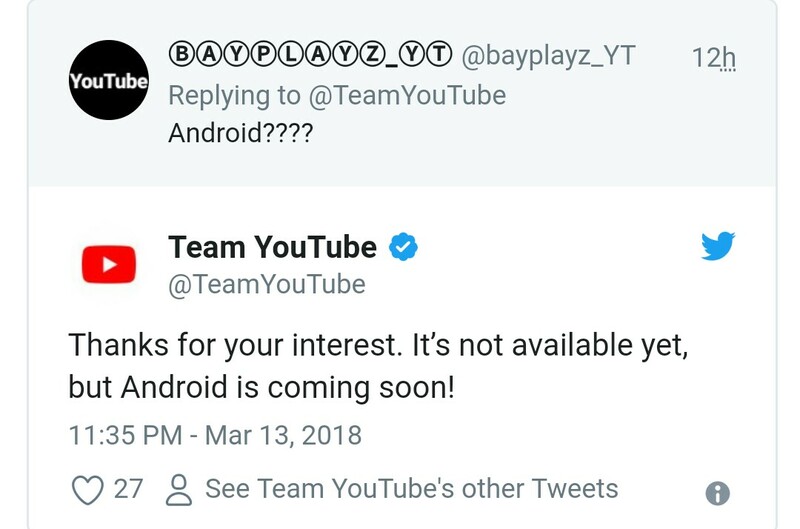 This is nice,youtube is moving forward, it is a welcome development. Well the new theme looks very cool I must say, it good.